Alas! Got to visit Jump Experience Center this time and it’s really worth the time. My kids usually pass by Jump Experience Center but never attempted to enter. Yes! your right from first look you would notice its like a top class lounge for the high end techie people. You can see assortment of chairs from sofa, business, executive, lounge chair that only high end would have. But if you get to see more closely they are considered a showroom of mobile, internet, home and business needs showing latest devices and cutting-edge gadgets. Upon entering Jump Experience Center we greeted by Jump Squad Marj Manalese. She gave us the tour and the details all about Jump Experience Center. The center is divided into 8 zones specific to the needs of the customer. 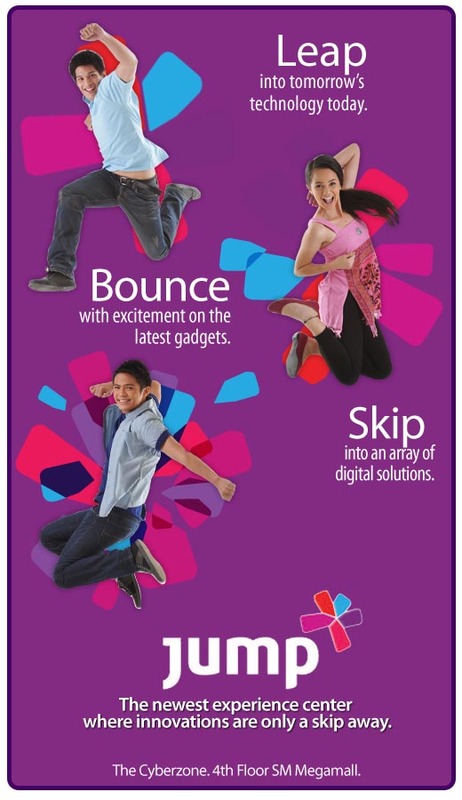 Jump Avatar – They have 3 interactive touch screens infront of Jump Experience Center. The left screen is where they announce any latest promos and services offered by the PLDT Group of Companies. The center screen is the Jump Avatar interactive touch screen. This were you can create your own avatar and even send it to your own email. The right screen can show. Spring board – is like a conference room where they held seminars about the latest technology, gadgets, tips and tricks on internet, surfing and more. This seminars are actually for free you just need to register via facebook or at their Springboard Registration located Jump Billboard. Customer Service/Jump Squad – If you need help or any inquires about any product or services the Jump squad are more happy to help you. 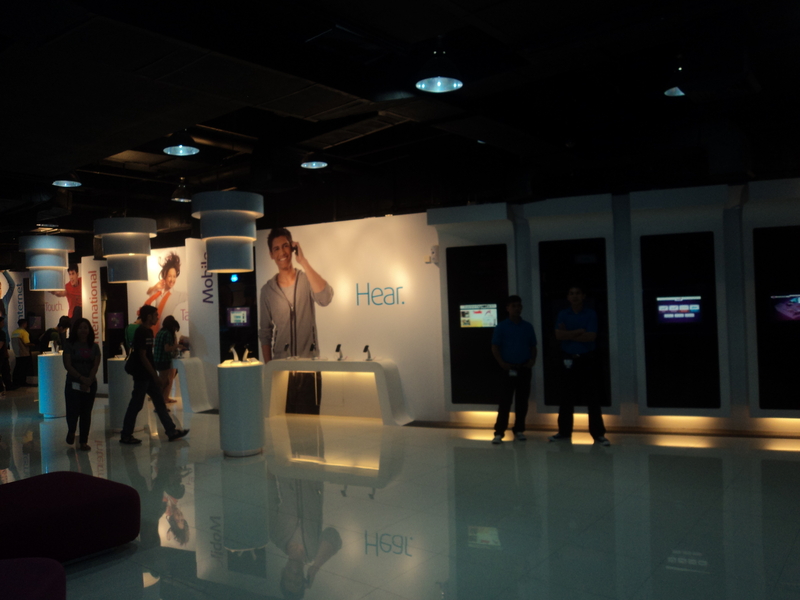 Panorama – It’s a 82″ multi touch screen that you can learn how PLDT Group of Companies making things extraordinary. Arena – the latest handset and gadgets are here for display. You can also sit down and relax with their colorful sofa and chairs. They also have this 2 table touch screen called Jump World where you can play their interactive games. I like the game where you get to pair the bug to make it bigger. hehehe!!!! Stay Connected – Are divided into 3 zone the mobile, internet, and international. 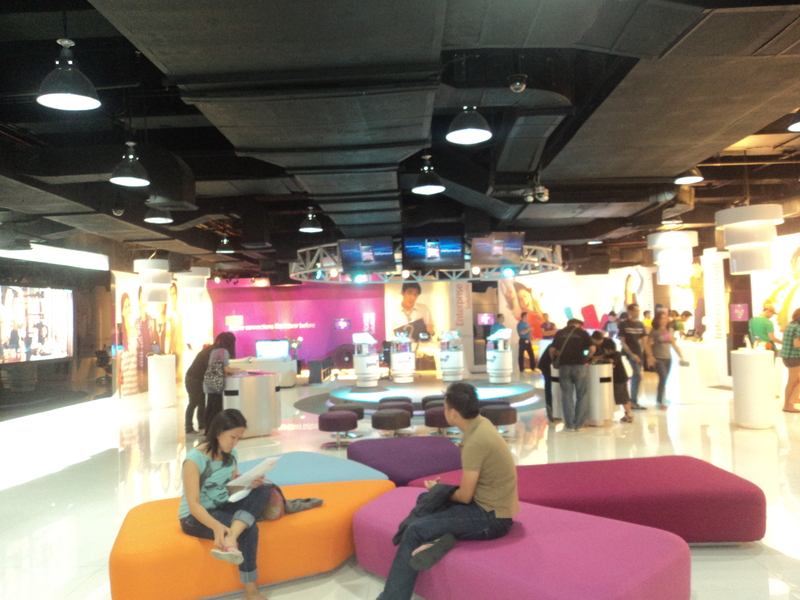 Mobile zone you can get to see and feel the real top of the line mobiles from Samsung, Blackberry, and etc. Internet zone consist of the services and gadget that will suit you to portable internet to home internet needs. International zone is services they offer to international customers. 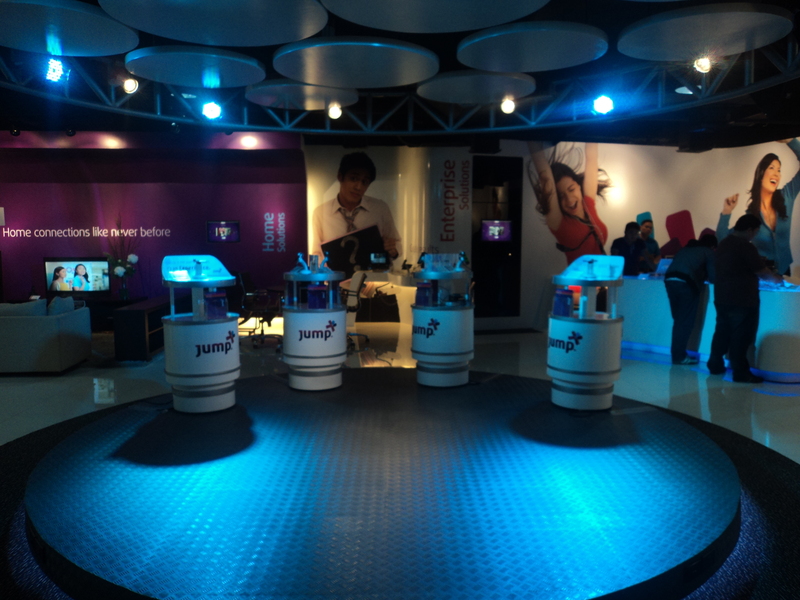 Jump Billboard – Four screens that feature the Center map, products, commercial, Springboard Registration and events happening at Jump. I’m still editing my video and photos hoping to upload soon.